Decide what worked well or not so well last year? Too many beans - not enought beets, & etc. Do you need to think larger or smaller gardens? Make a list of the vegetables or flowers you liked - do you prefer certain varieties? 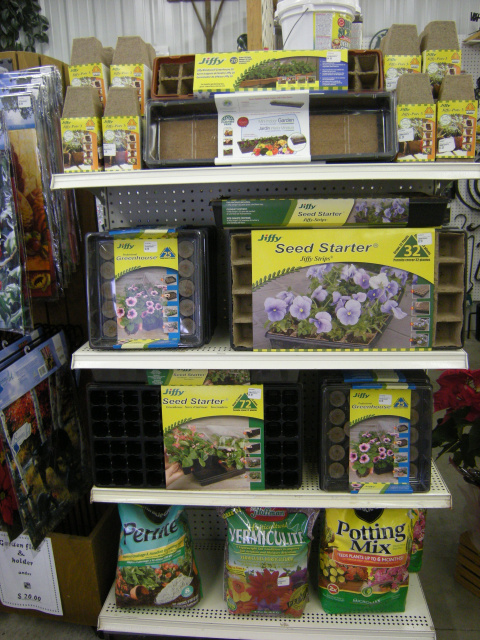 Come in and check our seed racks - YES seeds are in and ask questions early. Strawberry plants, asparagus crowns, sweet potatoes and sweet onions are usually here by the last of April and often cannot be reordered, so think about checking on these early. We are happy to talk gardens and help anyway we can. I will be adding more tips every month. Click on the links below to view them.